Massachusetts is a big player in the world of flea markets, with both sprawling outdoor shows focused on antiques and indoor markets that beckon to collectors and curious buyers year-round. More than a flea market—it's an antique and collectibles lover's paradise! 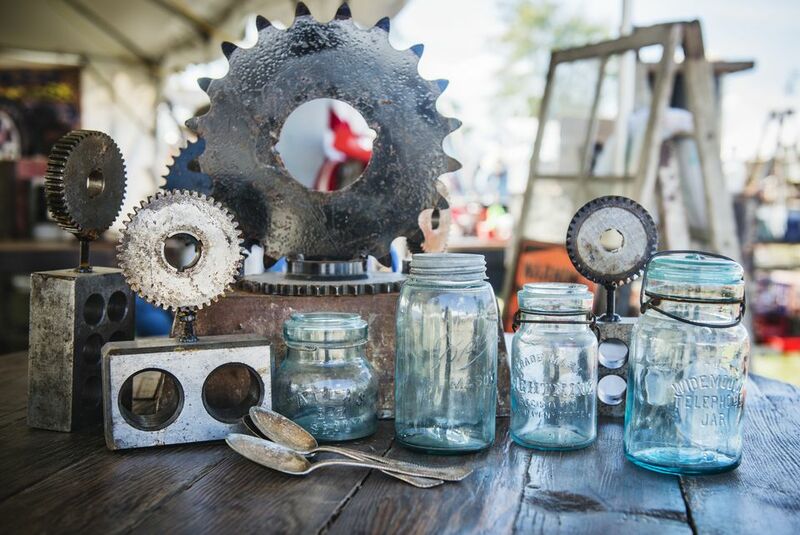 The Brimfield Antique and Collectibles show has been in operation for more than 50 years and has been deemed the "Queen" of the outdoor shows and a Smithsonian treasure. The world's largest outdoor antique show is located five miles west of Sturbridge along Route 20. From Route 146 North or South, follow signs to Route 16 and then follow signs leading you to this flea market, which has 40 vendor spaces indoors, plus free outdoor spaces for vendors spring through fall. Located south of Worcester near the Connecticut state line, this flea market is held indoors year-round with additional outdoor vendors in spring, summer and fall. Find acres of treasures at this indoor/outdoor Boston-area flea market that operates Sundays from 6 a.m. to 4 p.m. from early April through late December. This enormous indoor flea market goes on forever with 500 indoor sellers, plus hundreds more vendors outside when the weather cooperates. Food is sold on site, so make a day of it! Located on Cape Cod on the Wellfleet-Eastham line, this outdoor market operates, weather permitting, weekends and Monday holidays from the weekend before Memorial Day weekend until Columbus Day weekend in October. From late June through August, Wednesdays and Thursdays are added to the schedule. As many as 200 vendors participate. Special Note: It is always a good idea to call ahead to verify that a flea market is in operation before making a special trip. Flea markets may close due to inclement weather or other factors. Massachusetts Flea Market listings last updated in April 2016.